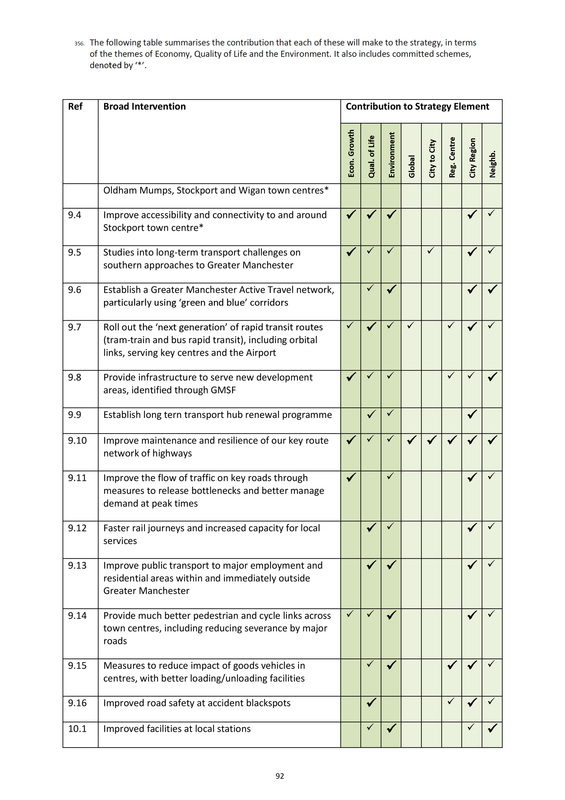 The Greater Manchester 2040 transport & growth strategy is a list of developments overseen by the latest Greater Manchester Combined Authority & the Association of Greater Manchester Authorities the latest documents published are from a meeting on the 10th of June. These document clearly show that there will be no economic, quality of life or environmental benefits as a result of the road and Metrolink changes associated with Oldham Council’s Prince’s Gate development. • 40% of GM children entering school who are not school ready. 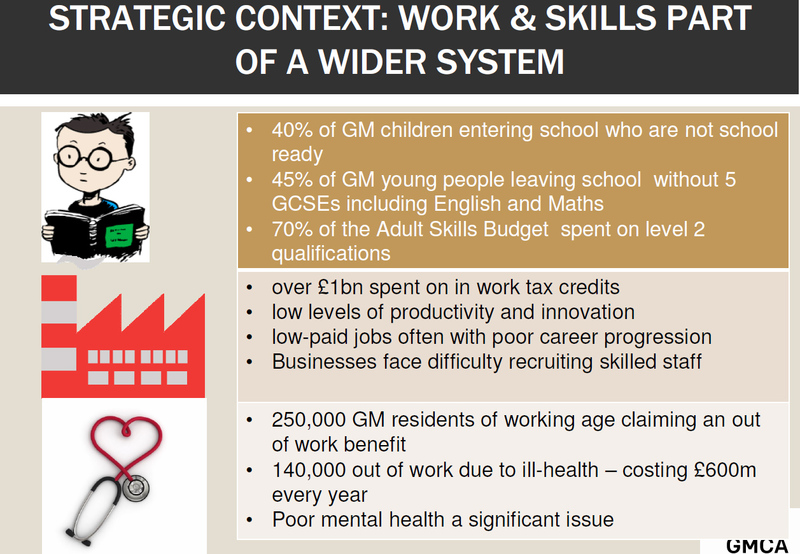 • 45% of GM young people leaving school without 5 GCSEs including English and Maths. • 70% of the Adult Skills Budget spent on level 2 qualifications. • over £1bn spent on in work tax credits. • low levels of productivity and innovation. • low-paid jobs often with poor career progression. • Businesses face difficulty recruiting skilled staff. • 250,000 GM residents of working age claiming an out of work benefit. • 140,000 out of work due to ill-health – costing £600m every year. • Poor mental health a significant issue.